Every pro athlete has a story to tell about their journey to success. For some, this starts with raw, natural talent in a specific sport. But talent only goes so far, which is why you so often hear about the extraordinary dedication, hard work, and mental toughness that carries them to the top. The athletes at this year's Olympic Games in Rio are the best of the best. These are the athletes that rise to the top by understanding the importance of staying inspired, either through the spirit of competition or the people around them. And while they are finding their own inspiration, some of us (ahem, me) are finding ours through them. Personally, hearing other people's stories has always inspired me to do more. I'm not an athlete (or athletic in any sort of way), but I can always appreciate hard work whether it's in the form of sports or whether it's in the form of something else. And it's nice to know that beyond the scores and stats, the members of Team USA have had to overcome their obstacles and fears in order to get to where they are today. In partnership with Folgers®, here's a deeper look into what inspires some of Team USA's athletes. 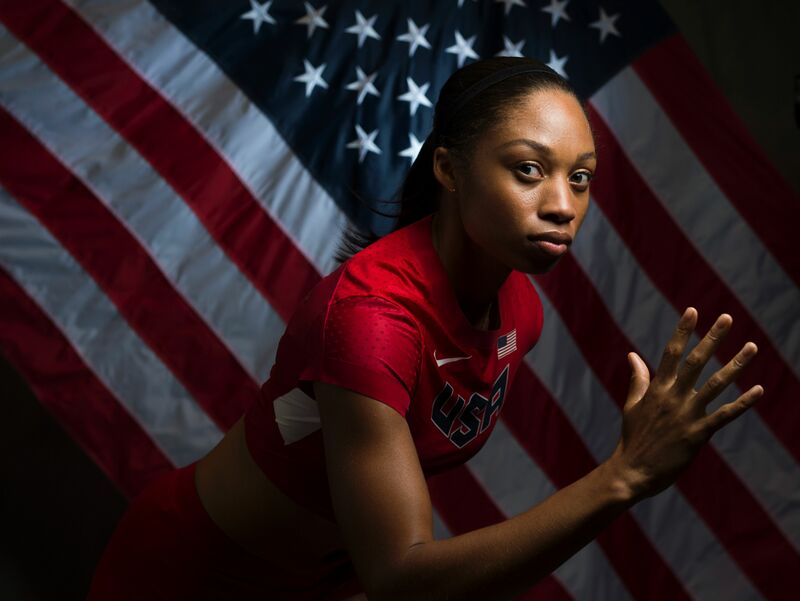 Allyson Felix, four-time gold medalist in track and field, is anything but ordinary. In an interview with Sport 360, the USA Track and Field sprinting legend talked about how she enjoys meeting other athletes who specialize in different sports. "I always get surprised by other sports during the Olympic Games. I love meeting athletes that might not even be on my radar but you get to sit down and think, 'I never would have crossed paths with this person' –– so that's cool." Conor Dwyer, Team USA's gold medalist swimmer, remembers the exact moment that inspired him to compete in the Olympic Games. "I remember watching the Opening Ceremony as a child and seeing all the teams walk out in such a big celebration to represent their country," he told Folgers®. "That's definitely the moment that stands out in my mind." U.S. Gymnast Aly Raisman, stole the heart of Americans after winning two gold medals and a bronze medal at the Olympic Games in London. When asked by Glamour how she finds passion to get up and go when she'd rather not leave her bed, she replied, "I feel like the thing that motivates me is not making it to the Olympic Games. If I'm having a rough day, I think about how bad I want it. After Rio I'll only be 22, and I can do whatever I want, but this opportunity won't come back. I just don't want to have any regrets." Shawn Johnson, the 24-year-old retired gymnast, spoke to Parents about all the sacrifices she's made over the years, and what inspired her to pull it together after learning the brutal extent of her injuries. "As I was falling to pieces, my mom put her hand on my shoulder and said, 'Everything happens for a reason. This was supposed to happen.' For some particular reason, that statement resonated with me. My mom is my rock." This post is sponsored by Folgers®, a proud sponsor of Team USA.